What is Moscow? How big is Moscow? When was Moscow founded? When did Moscow became the capital of Russia? Is Moscow in Europe or Asia? 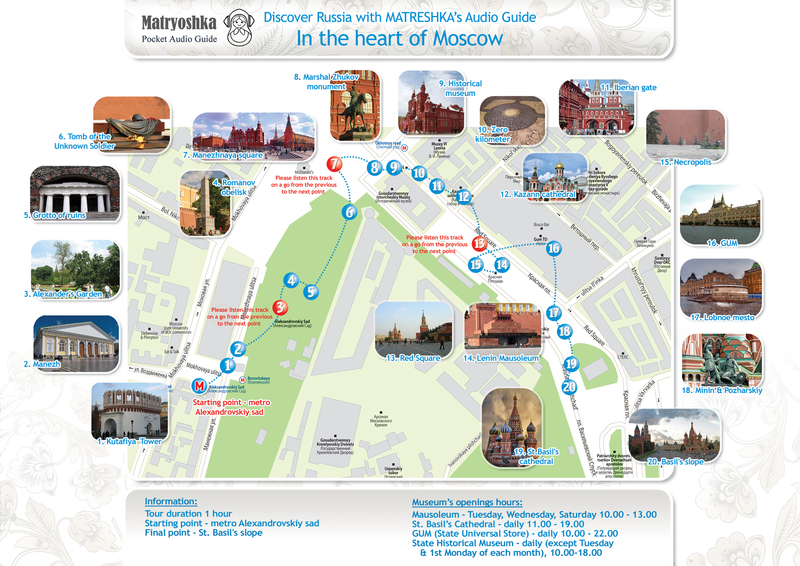 And, finally, Moscow tourist attractions and travel guides... All of this information can be found here in a single article. Read it and be ready for your Moscow vacations! Moscow (or "Moskva") is the capital of Russia (or "Rossiya"), the capital of the former USSR and most populous city in Russia. Although little known, Moscow is the largest city in Europe with about 15 millions of people! Moscow is also the northernmost and coldest megacity and metropolis on Earth. Can you imagine that 15 million Russians live in the place with only 4 months of summer? Officially, Moscow was founded at 1147, but recently archaeologists found that the city can be more than 1000 years old. Moscow history is very complicated. Moscow withstood numerous internal conflicts, control by the ‘Golden Horde’, the ‘Plague’, the ‘Great Feudal War’, numerous fires, Polish occupation, another new plague, French invasion of 1812 and whole 20th century. The history of Moscow’s eminence reminds us of a typical Hollywood movie where with millions of challenges the main hero finally beats evil! I mean, there were large chances that Moscow could have been destroyed and forgotten, but it was not! Moscow is situated on the Moskva River so it is also Europe's most populated inland city. Its location was never something special - forests and mid-sized Moscow river - but nothing prevented it from becoming the capital of the largest country. Nowadays Moscow is a really big modern city with its size reaching 40 km width and 50 km length. Despite the climate and location, Moscow is rich and bustling; it has one of the world's largest urban economies. The city is really expensive (but Zurich is far worse...), but it's worth it! Moscow's architecture is world-renowned. Elegant onion domes of medieval churches, Stalin's monumental buildings, plus modern architecture combine in an amazing mixture of epochs. During your Russian vacations you can spend a week walking around the largest avenues and smaller city streets and always run into something new. However, many foreigners come here and still do not know what to expect from the Russian Capital. We recommend spending the first day of your Russian vacations wandering around Red Square. There are a lot of museums, churches and other sights to see nearby. You can easily walk from one to another while experiencing the city. 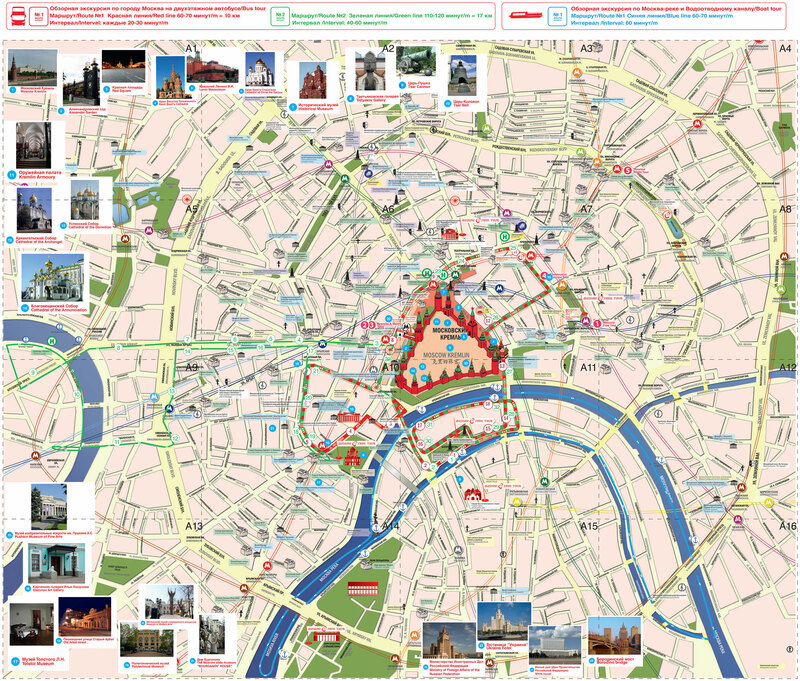 This map may help you to visit all nearby tourist attractions. For the second and third days we recommend that you visit less popular landmarks of the Russian Capital. There are a lot of options depending on your wishes. If you are interested in Soviet Moscow, a good choice is to visit Victory Park, Sparrow Hills and Stalin's skyscrapers. Having a tour guide is perfect for those who want to learn more about the former USSR times and its impact on modern Russia. Sometimes it is better to take a minivan tour which can save both your time, in case of right itinerary, and your morale, in case of bad weather. If you have more than 3 days, we recommend seeing the countryside because Real Russia is not Moscow at all. Sometimes you just need to move only 50 km from Moscow to see authentic towns and villages. Golden Ring cities are perfect for those who prefer picturesque small towns full of medieval architecture. Vladimir and Suzdal tour is one of the best options in this case. We recommend the Dacha Ecotour if you want to see rural landscapes and learn more about keeping households and farming in Russian countryside. Russian countryside tour is perfect if you are continuing on to St. Petersburg because the tour’s final destination (Tver' town) is only 3 hours from St. Petersburg by high speed train. However, if you have a mobile phone, Google and Yandex maps will make your life easier. You can find more information about these and other useful mobile application for Moscow tourism here. Independent tourism in Moscow is impossible without using the metro or Moscow subway system which is the easiest, the cheapest and the safest way of moving in Moscow center. More information and travel tips can be found here. You don't need a tour guide to find all this locations or to make the right itinerary! Just use one of these maps and some descriptions from Wiki or Tripadvisor. Nevertheless, using a private tour guide (sometimes it's free) is the right way to see the city in a limited time.